Judges commend winning work as ‘a thing of vast complexity and power’. The prize is one of seven awarded at the annual Society of Authors Translation Prizes that were awarded last night at a ceremony sponsored by ALCS. 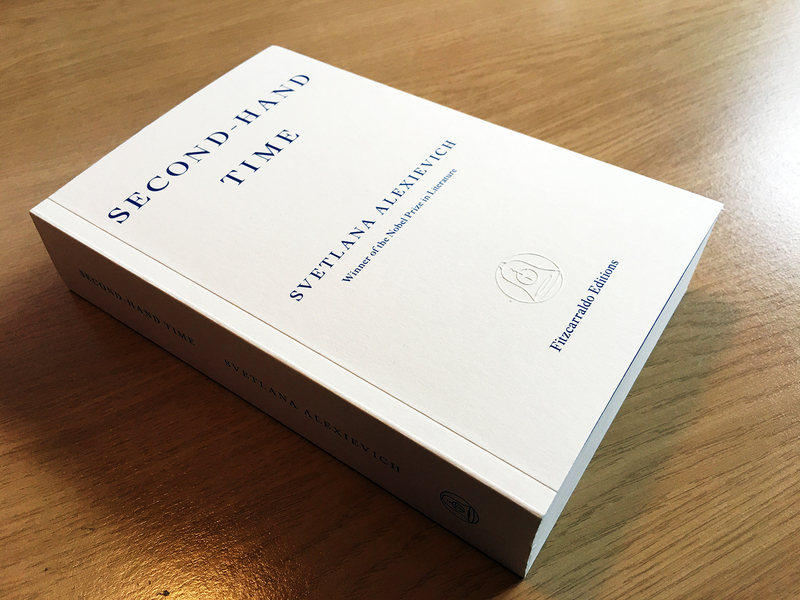 The inaugural TA First Translation Prize has been awarded for the English edition of Second-Hand Time by Nobel Prize in Literature winner Svetlana Alexievich. The work was translated from the Russian by Bela Shayevich, edited by Jacques Testard, and published by Fitzcarraldo Editions. The £2,000 prize was shared equally between translator and editor at the Society of Authors Translation Prizes ceremony on 1 March 2018 at The British Library in London. Second-Hand Time brings together the voices of dozens of individuals who experienced the collapse of the USSR, tracing the disappearance of a culture and exploring what that meant for the men and women who lived through it. This year’s judges were Daniel Hahn, Rosalind Harvey and Bill Swainson. Bela Shayevich’s translation is a work of extraordinary, sustained virtuosity, meeting the challenges of this huge polyvocal text energetically and fearlessly. Alexievich in English combines individual vivid human voices – truthful, sometimes surprisingly simple – into a thing of vast complexity and power. And Bela Shayevich, like Alexievich herself, deploys such great skill and sensitivity to ensure that all these voices are properly heard. Second-Hand Time is a big fat brick of a book. I had to wear boxing gloves, I felt like an athlete figuring out my work rhythm … especially when working on such a big text under such extreme pressure ([Svetlana Alexievich] won the Nobel Prize three months before the final manuscript was due). But going through every draft was a crazy marathon. Sometimes, I’d only have 4 days to go through almost 700 pages. And then, obviously there’s the intense emotional labour, the second-hand trauma, of working on first-person accounts of horrific violence and tragedy. The TA First Translation Prize was one of seven awards for translation announced at the Society of Authors Translation Prizes ceremony at The British Library in London on 1 March 2018. Awarded annually, biennially or every three years, the SoA translation prizes recognize outstanding translations from works in Arabic, Dutch, French, German, Italian, Spanish and Swedish. 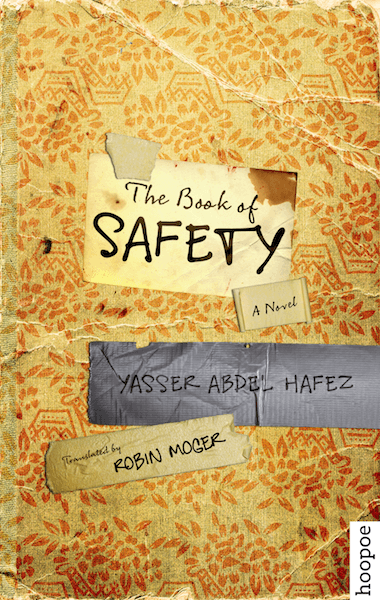 The winner of the Saif Ghobash Banipal Prize for Arabic literary translation is Robin Moger, for his translation of The Book of Safety by Yasser Abdel Hafez (Hoopoe Fiction, AUC Press). The Saif Ghobash Banipal prize is the only prize dedicated to the translation of arabic fiction into English. The shortlist included: Katherine Halls and Adam Talib for The Dove’s Necklace by Raja Alem (Duckworth), Leri Price for No Knives in the Kitchens of This City by Khaled Khalifa (Hoopoe, AUC Press) and Anna Ziajka Stanton for Limbo Beirut by Hilal Chouman (Center for Middle Eastern Studies). The judges were Pete Kalu, Alastair Niven, Professor Wen-chin Ouyang and Salam Sarhan. 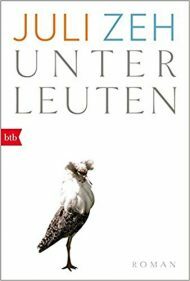 The winner of the Goethe-Institut Award for new translation from the German is Mandy Wight for her translation of an extract from Juli Zeh’s Unterleuten (Luchterhand Literaturverlag). The other judges for this prize were were Annemarie Goodridge and Eva Hoffman. 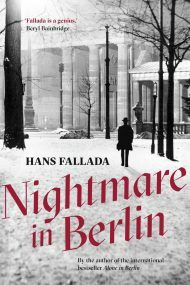 The winner of this year’s Schlegel-Tieck Prize for translation from the German is Allan Blunden, for his translation of Nightmare in Berlin by Hans Fallada (Scribe). The Judges were Professor Emily Jeremiah and Professor James Jordan. The winner of the Scott Moncrieff Prize for translation from the French is Will McMorrars and Thomas Wynn, for their translation of The 120 Days of Sodom by The Marquis de Sade (Penguin Classics). The judges were Professor Andrew Hussey and Dr Ian Patterson. 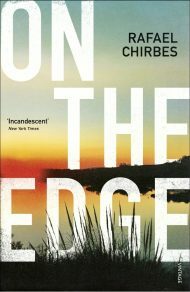 The winner of the Premio Valle Inclán for translation from the Spanish is Margaret Jull Costa for her translation of On the Edge by Rafael Chirbes (Vintage, Harvill Secker). The judges were Dr Katie Brown and Professor John King. 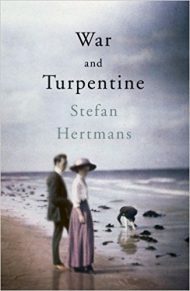 The winner of The Vondel Prize for translation from the Dutch is David McKay for his translation of Stefan Hertman’s War and Turpentine (Penguin Random House). The judges were Jane Draycott, Donald Gardner and Laura Watkinson. ALCS Members: do you know any translators? We could be holding money for them! In the past year, ALCS has paid out almost £90,000 to its nearly 2,200 translator members for the re-use of their works. This money is collected via licensing schemes primarily in the education sector. According to our records however, ALCS is still holding in excess of £175,000 for the contributions of more than 11,000 translators who haven’t yet signed up to ALCS. You, our members, are our best form of publicity, so please encourage any translator friends or colleagues to sign up in case ALCS is holding money that is due to them.